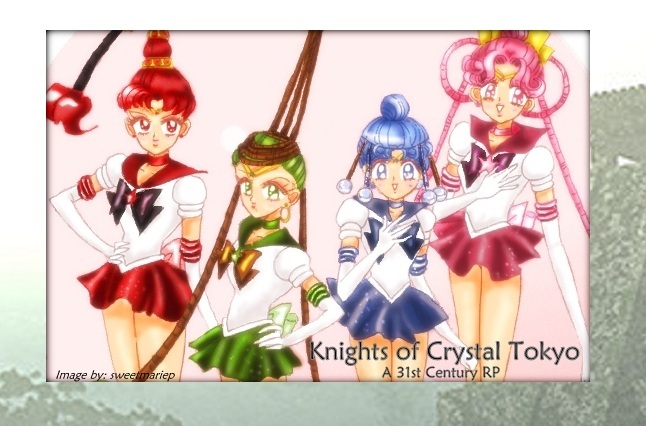 All characters in the Sailor Moon World except for the Sailor Quartet, Galilean Knights, and the villains are pretty much off-limits except for on special occasions. As such, I will list all of the characters I can think of. Those who will have small cameo parts, thus be available for short roleplay bursts, will be *starred* to show their semi-availability. If you would like to be the voice of this scout when she has a part to play, (aka you want this scout as a secondary character) respond to this thread with the character's name and a quick (one paragraph) sample of how you would play them. This list will be from characters that will have a small part to characters that have pretty much played their role in the opener and won't really be referenced again. *Sailor Saturn -- Sometimes chills with Chibi-Usa. However, as a senshi under Sailor Moon, she is *not* a part of Chibi Moon's crew. All members of the Black Moon Clan, Dead Moon Circus, Death Busters, and Negaverse.